Normally I detest Internet phenomenas - I still don't know what that 'all your bases' nonsense was about. 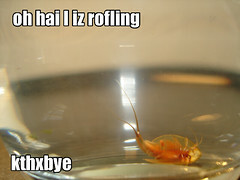 So I apologise in advanced for having stooped so low as to contribute to the current internet fad. 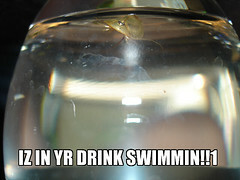 For your viewing pleasure, here are the first two 'loltriops'. Update: I guess that should be loltriopz. "All your base" was about the hilarity the ensures from bad translations. Like old school kung fu movie dialog, but even crazier!